You probably don’t need us to tell you that wood flooring has grown hugely in popularity in the last decade or so. Only 20 years ago, every decent sized town would have had a carpet shop or two and they would have been constantly busy. Nowadays, not only has shopping changed in favour of out-of-town solutions and online preferences, but also the trend has moved away from carpeting our homes from corner to corner, to having a mix of wood, tile and marble, to help make our homes more attractive and at the same time hygienic and easy to maintain. Armstrong. Armstrong is one of the biggest names associated with wood flooring. A company that’s based in the United States of America, it may well be that Armstrong started off it’s story with wood flooring, but now, they focus on all sorts of flooring as well as wall and ceiling coverings. 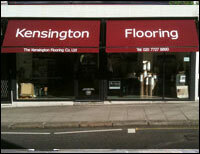 That said, they still offer a huge range of hardwood flooring with over 850 products on their US website. 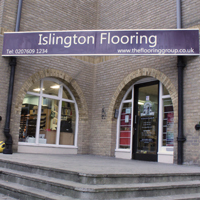 When looking around in the UK, you’re almost certain to come across Armstrong wood flooring. Junckers. Once again, Junckers is an international company that concentrates on wood products, with a huge focus on flooring. Speaking about flooring as “the first piece of furniture that goes in a room”, they’ve floored some pretty impressive buildings in their time. With a huge range of options, again, you’re pretty sure to come across their name, either on the high street or online. Havwoods. Havwoods is making a big statement online right now. 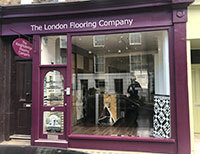 Putting themselves forward mainly as commercial flooring experts in their online “shop window”, they have an impressive list of both wood and other flooring products. With global offices popping up in some predictable and less predictable locations they’re an interesting company. Amtico. 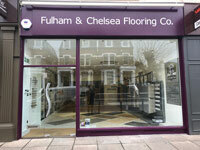 With their focus on design, Amtico is a global brand and is constantly launching new products. You’re likely to come up against this name often, particularly on the high street, with the likes of John Lewis being an Amtico stockist. Encompassing a whole range of flooring options, under the Amtico brand you’ll find a whole lot more than wood. Typically buying from this type of company proves more expensive than buying direct because there are the costs of the retailer to cover in the distribution chain. Kahrs. Kahrs once again is a truly global brand, this time focusing on wood as a flooring solution. Kahrs’ emphasis is on choice and their environmentally friendly products. Although you can’t buy direct from Kahrs, there are plenty of Kahrs stockists around the country. What you need to bear in mind with this sort of option, once again like Amtico is that you aren’t buying direct, so there are the middle-man’s margins to pay, so do your like for like homework carefully. Wickes. Wickes are a good quality, general DIY solution and offer some very good products. That said, they are not wood flooring experts. 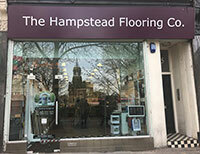 Notwithstanding their craftsman led television advertising campaign, wood flooring bought from such a shop is treated like any other of their thousands of products. When it comes to service, while you may be lucky and stumble across a Wickes assistant who is an expert in wood flooring, there is an element of luck involved. British Hardwoods. Based in the north of England, British Hardwoods is a specialist oak timber merchant and manufacturer of floors and worktops. Their focus is on ethical standards and quality products. Because they manufacture the wood flooring they sell, they can pretty much accommodate any width or length requirements. And of course Wood and Beyond. At Wood and Beyond we make it our business to source the highest quality, ethically sourced solid and engineered wood flooring for our clients at the very best prices. We keep our prices low by working pretty much exclusively online, although we do have a London showroom where we love to meet our clients. What we believe makes us different from some of the other big suppliers is our combination of price and service. We do all we can to be accessible to our clients at all times; either online, by phone or face-to-face and we don’t charge a premium for that. That’s what we think makes us special and that’s reinforced by everything our clients tell us, which makes us very proud. ü Product range. Narrow down your choice by sorting suppliers into those who have what you’re looking for and those who don’t. ü Availability of samples. Make sure you can get samples of what you’re going to order. It’s important to touch and feel before you buy. ü Online or off. Buying online is a great way to save money, but make sure you have good contact with your seller should you need them. Ideally choose someone with both online and high street options. ü Price. Price is highly likely to drive your decision, but it shouldn’t be the sole reason for choice. ü Service. Make sure whoever you choose has a track record of great service. Judge how they deal with you and if needs be, speak to existing clients. ü Warranty. Normally nothing should go wrong with your purchase, but if it does, make sure the warranty on offer will do what you hope. If you’d like to chat about wood flooring options, why not get in touch? We’re always happy to hear from people on the search for the perfect wood floor and are here to help you; no matter how big or small your wood flooring query.